Bitz Store offers Bits compatible with Warhammer 40k and Warhammer Fantasy Battle universe. Convert your miniatures with the bits manufactured by our partners. - Finely carved and impeccable quality. Alternative Bits There are 3 products. 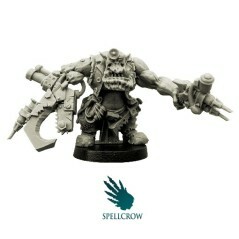 Spellcrow bits and miniatures are perfect conversion parts for futuristic and fantasy miniatures games. With bits series of Space Knights, Chaos Space Knights, Plague Legions, Pleasure Legions, Guard and Orcs, improve your miniatures. 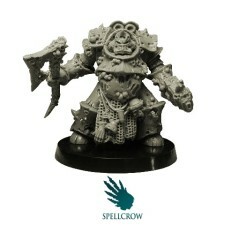 Miniatures and conversion bits of Spellcrow brand are compatible with all 1:28 scale miniatures ranges, they make perfect alternatives bits and proxies for futuristic and fantasy universe. 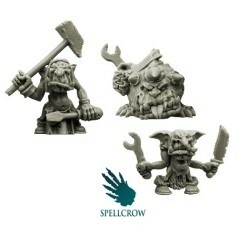 Bits and miniatures are finely carved by the team of Spellcrow.